This time of year businesses start to question: should I give my client(s) a gift? The simple answer is yes! It’s always a good idea to give your clients a gift. With the holidays quickly approaching, we put together several unique client gifts your recipient will be thrilled to receive! Make their holidays bright by printing their favorite image on a bottle that lights up when the insert is turned. 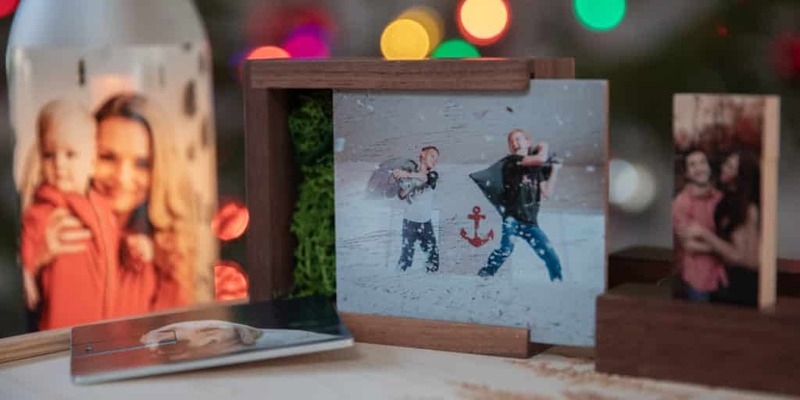 This gift is perfect for any type of photo client. 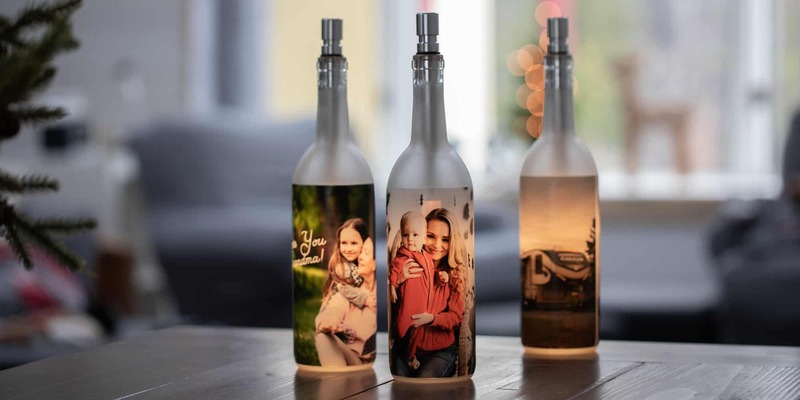 Imagine a newborn, family, senior, engagement or wedding photo printed on the bottle! Don’t have a specific image to use but still want to make an impact? Any graphic can be printed on the bottle such as an inspirational message or logo! 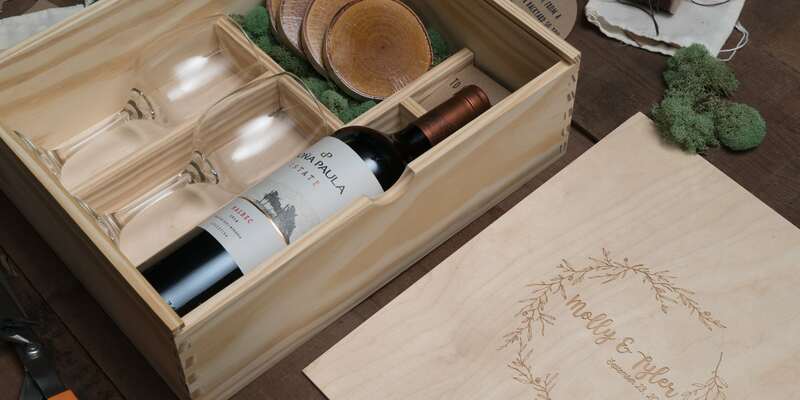 Wine is one of the most popular client gifts because it’s easy. The downside to wine is it is surely the first thing clients expect to receive. 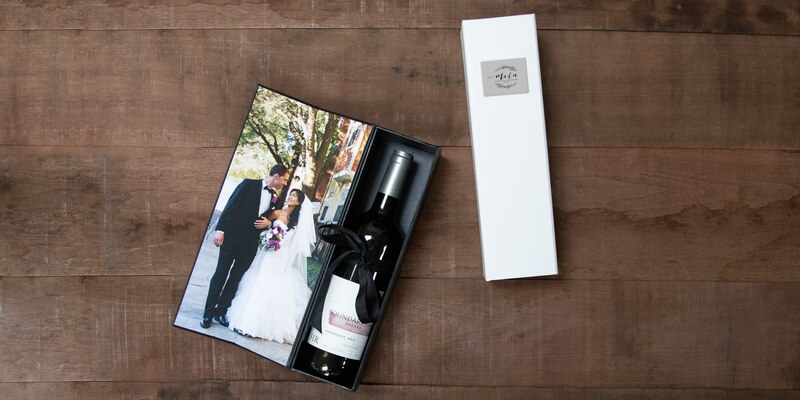 Sure, having a client open a gift bag to find their favorite bottle of wine inside is nice, but why not up the surprise by customizing and adorning the inside of the box with a photograph specific to them? 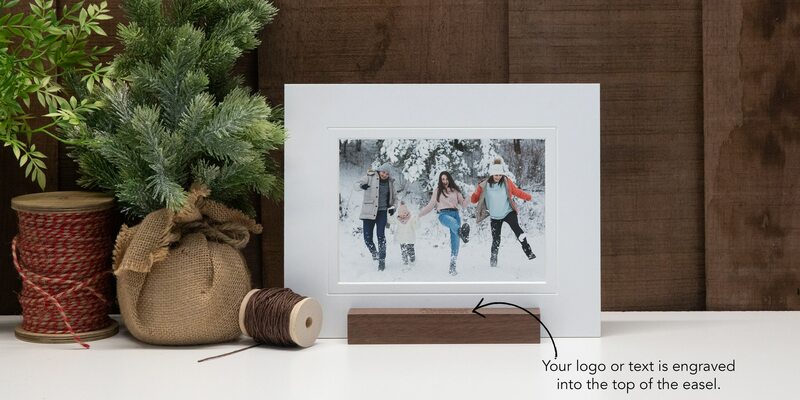 Whatever photo you choose, your client will get the chance to celebrate the moment again with this unique gift! When you’re looking for the ultimate client gift, look no further. 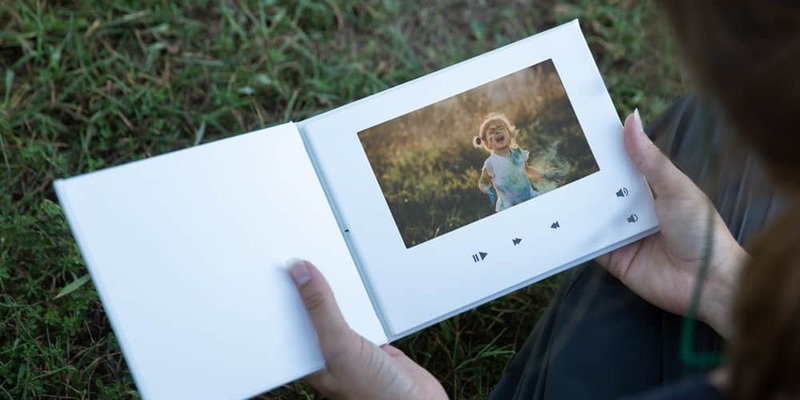 The PlayBook allows your client to relive their memories in a completely new way watching their video or slideshow of images play on a 7” screen. Need help creating a slideshow? We suggest Animoto, Lightroom or Adobe Spark! Once your file is ready, simply plug the PlayBook into your computer an drag and drop your file onto it, just like you would a flash drive! When it comes to showing your appreciation, you have a lot of options. You could send a thank you card or an email. You could send flowers or a gift basket. Or you could say nothing at all and let your gift do all of the talking. After your client has caught their breath, they won’t know where to begin. Do they pour themselves a couple glasses of wine and toast to the moment or look through the images, first? While the spacing of the insert is created to fit a wine bottle, 2 glasses (which are included), 4×6 photos and a flash drive, that does not mean that’s what you need to include. Think outside of the box! Coasters fit perfectly where the prints would sit and a gift card can be placed where the flash drive would go such in the photo below! Bonus: The box transforms into a keepsake box by removing the insert piece! When empty, your client can use it to store prized possessions. Custom Image Flash Drives make delivering their files extra special. Your client will never expect to receive such a unique gift! Sold? 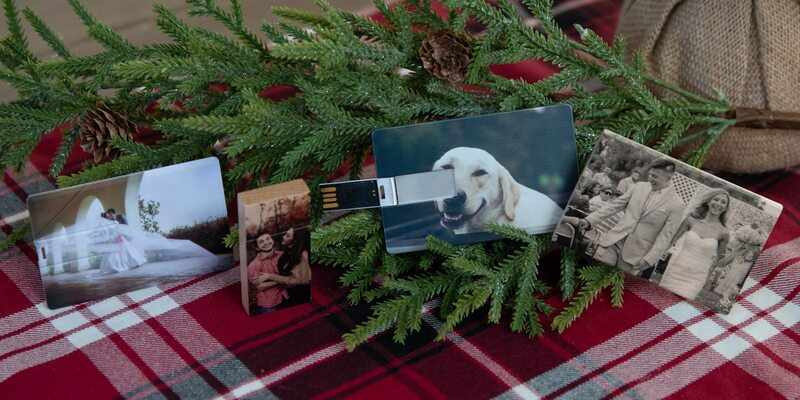 We have 4 different flash drives to choose from and all allow you to print an image on both the front and back including our Natural Wood Flash Drive, our Wood Credit Card Flash Drive, our Brushed Aluminum Credit Card Flash Drive and our Classic Credit Card Flash Drive! Delivering holiday photos? 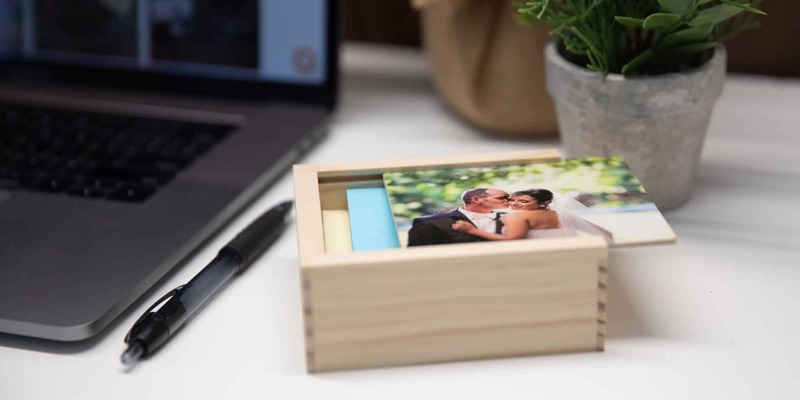 Make it extra special by delivering the customized flash drive in handmade wooden box with their favorite photo printed on the lid. This box can later double as a mini container to hold post it notes or other small items on their desk. Holiday gift giving doesn’t have to be hard when it comes to clients! Any of the unique client gifts above will surprise and delight the recipient while keeping it professional! And remember, the holidays aren’t the only time gifts are appropriate. Think about big occasions such as an anniversary, new baby or even a new home! You’re client will be thrilled you thought of them! This entry was posted in Tips & Tricks and tagged business tips, gifts, PlayBook.